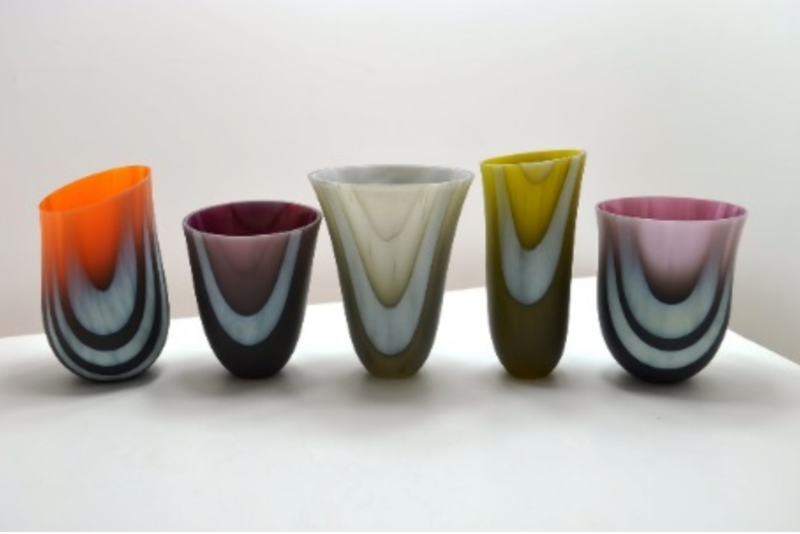 In this 5 day introductory course in kiln formed vessels, students will learn to create tall thin vessels whilst experimenting with opaque and transparent sheet glass colours, to create new tones and subtle colour blending. 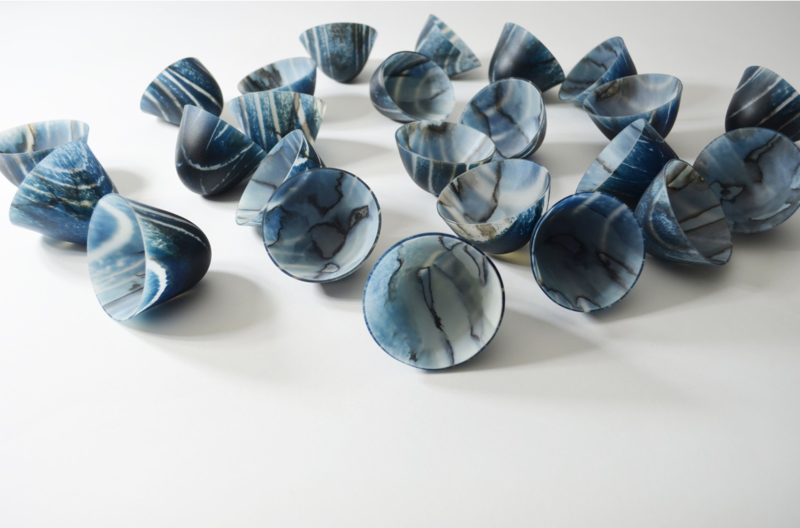 Participants will go home with at least 1 small finished vessel, 2 medium sized vessels and colour sample tiles. Please note this is a sheet glass course and some use of the larger frit. No powders will be used. Amanda Simmons makes kiln formed and cameo engraved glass vessels – tall, sculptural, thin walled columns – from her studio in Corsock, Scotland. She is fascinated in the forms created by gravity within the kiln, the vessels becoming more complex as she perfects the slumping method. 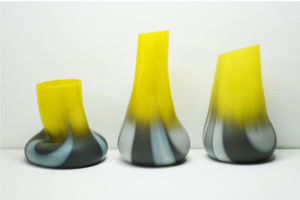 Amanda has worked with glass for the past 14 years, graduating from Central St Martin’s School of Art & Design in London with Distinction studying Postgraduate Certificate in Glass & Architecture, before re-locating to Dumfries & Galloway, Scotland in 2005. Past exhibits include Collect (Crafts Council), Contemporary Applied Arts, London Glassblowing, Bullseye Gallery, Portland and SOFA Chicago.